Fire Station No. 5 Renovations for Seismic Retrofit - Global Diving & Salvage, Inc. 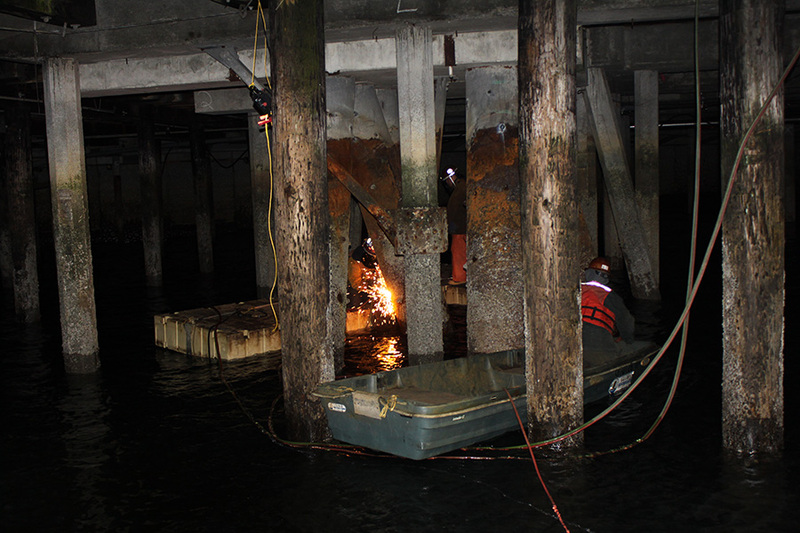 Global was subcontracted by Mortenson/Manson, a JV, to perform work on the piles underneath Seattle Fire Station No. 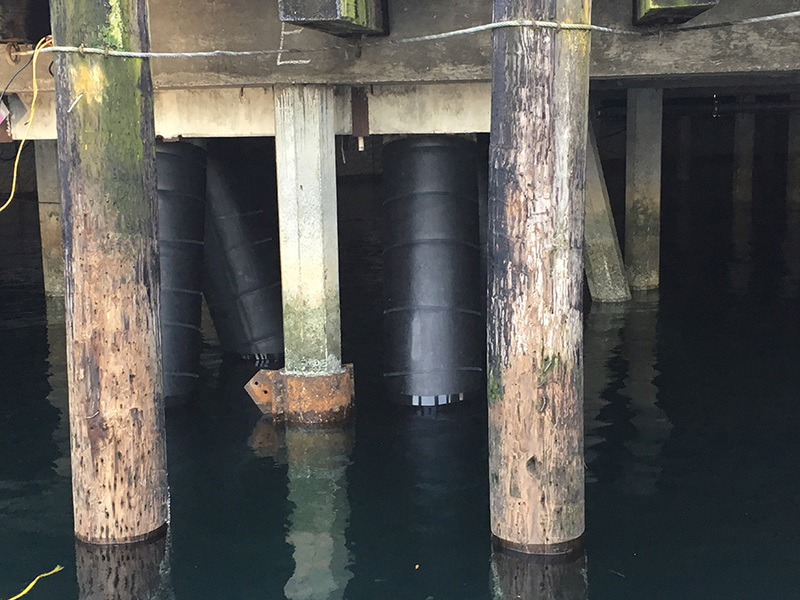 5 along the Elliot Bay Seawall as part of a major seismic retrofit. The scope of work included installing the Denso Sea Shield Series 100 Pile Protection System on 18 steel piles, with the subsequent fabrication and installation of 14 collar bracing assemblies. Containment was established to fully restrain debris and sediment generated during cleaning operations, before starting any demolition or construction work. Limited access during the project required Global crews to work around the tidal exchange and necessitated cleaning operations be conducted during low tides. 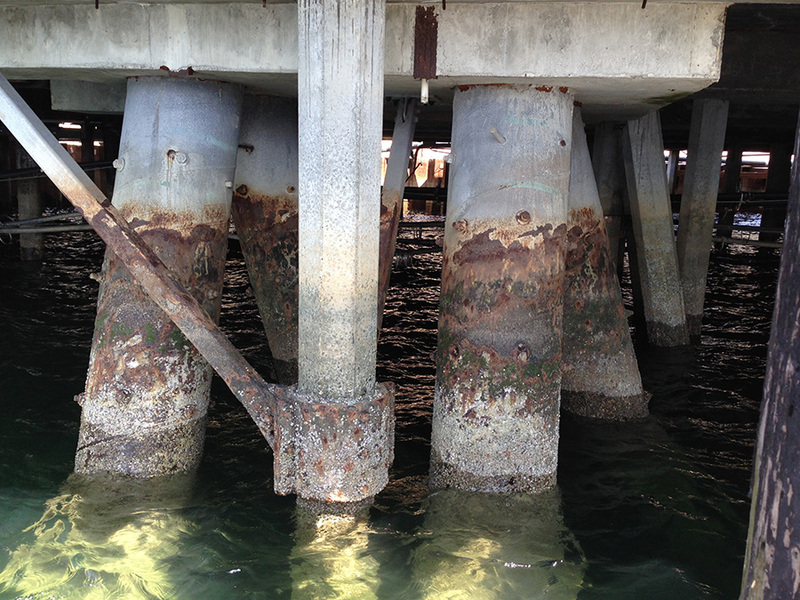 Before removing the existing collar braces, crews took measurements to confirm shop drawing dimensions; this was accomplished despite severe buildup of rust nodules. 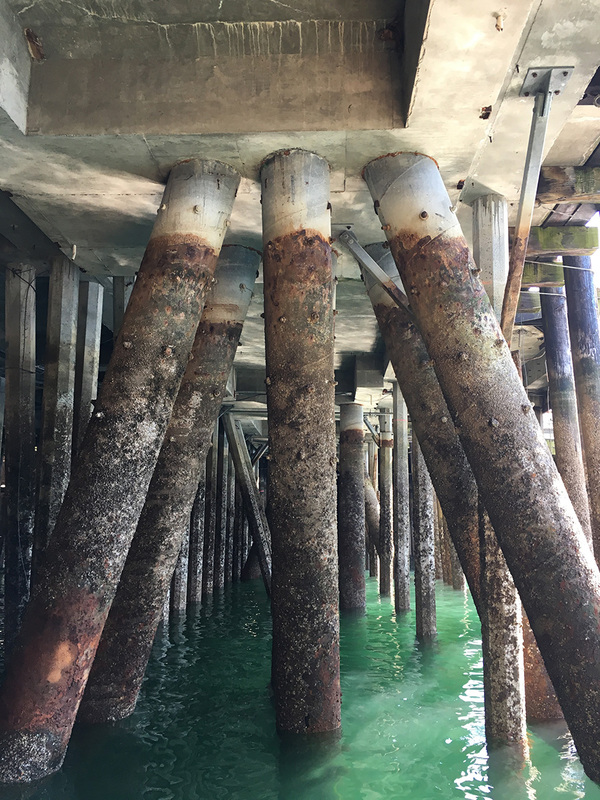 During construction, the team also alerted the owner of additional corrosion and a certified Global team member performed ultrasonic testing on nine of the most severely corroded piles. The decision was made to replace the damaged bracing. Based on Global’s survey measurements, the engineers worked with the client to design and generate fabrication drawings for the new bracing; Global managed the procurement process. 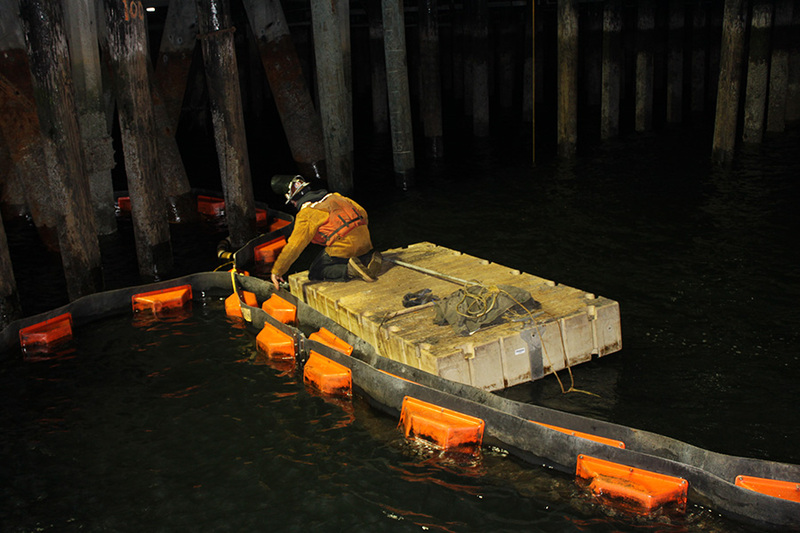 Global’s crew replaced the six deteriorated braces and three collars, and wrapped them with epoxy coating.